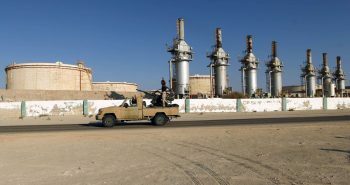 In a move that has long been expected, General Khalifa Hifter’s Libyan National Army (LNA) launched an offensive to crush Islamist militias in Tripoli earlier this month, moving on the capital in what is a major escalation of the Libyan civil war. More immediately, however, the campaign appears to be connected to several international and regional developments, the alignment of which seems to have prompted Hifter to determine that this was an opportune time to move forward, dealing a harsh blow to the UN-led peace process. 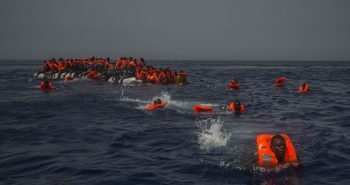 First, from the eruption of Libya’s civil war in May 2014 until earlier this year, neighboring Algeria has been a strong supporter of diplomacy between the Government of National Accord (GNA) in Tripoli and the House of Representatives (HoR), the Tobruk-based administration allied with the LNA. Algeria has used its leverage to pressure Hifter into not launching such an offensive. 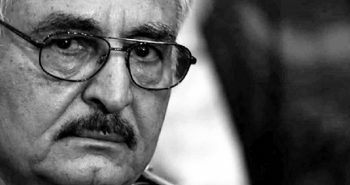 Amid the deepening political crisis in Algeria, however, Hifter most likely calculated that the government in Algiers was otherwise occupied and in a weak position to take actionto block him from carrying out his campaign. Second, the offensive against Tripoli marks a direct challenge to both Turkey and Qatar’s interests in Libya. 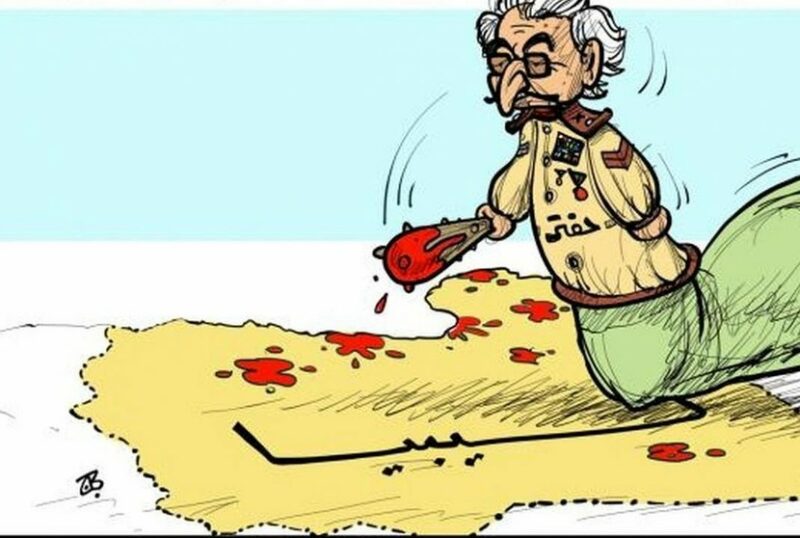 Ankara and Doha have sponsored the Libyan Muslim Brotherhood and other Islamist groups, which are anti-Hifter to their core, and Hifter has voiced his strong opposition to Turkish and Qatari influence in post-Gaddafi Libya. Perhaps Hifter read the most recent elections in Turkey and the early departure of the emir of Qatar from the Arab League summit late last month in Tunisia as a sign that the Ankara-Doha alliance is facing a series of new challenges that will likely preoccupy them and shift their focus away from the crisis in Libya. Third, during Hifter’s trip to Saudi Arabia last month he met with King Salman and Crown Prince Mohammed bin Salman. The historic visit marked the first meeting between a Libyan leader and a Saudi monarch since the era of King Idris in the 1950s and 1960s. 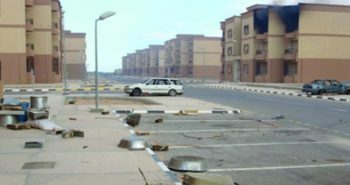 With King Salman reaffirming Riyadh’s commitment to stability in Libya, many analysts interpreted Hifter’s visit as a sign of Saudi support for an offensive on Tripoli based on a view in Riyadh that the LNA represents the only realistic bulwark against Muslim Brotherhood-affiliated Islamists ascending to power — much like how the kingdom has viewed the current Egyptian government. Fourth, while the next set of talks under UN auspices were scheduled to take place in Ghadames, Libya later this month, on April 8 the HoR’s president, Aguila Saleh Issa, announced that they will be postponed because of the escalating violence. 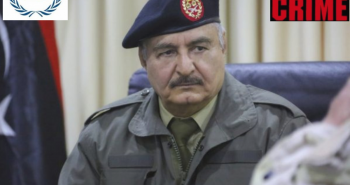 To be sure, Hifter’s decision to order his military forces to begin their “victorious march” to Tripoli while UN Secretary-General Antonio Guterres was visiting Libya was provocative and meant to send a message that Hifter loathes the UN’s efforts to resolve the conflict. 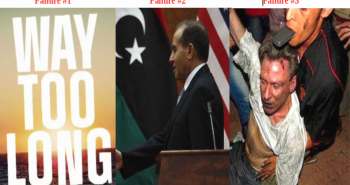 Looking ahead, Hifter’s campaign to “liberate” Tripoli prompts major concerns that Libya’s cycle of revenge, fear, and violence could spiral further out of control, with renewed hostilities raising the specter of a major escalation in this multifaceted civil war. That said, officials in Abu Dhabi, Cairo, and Paris view Hifter as the only Libyan leader capable of bringing order and stability to the lawless country, which has been beset by years of turmoil and jihadist terrorism since the fall of the Gaddafi regime. 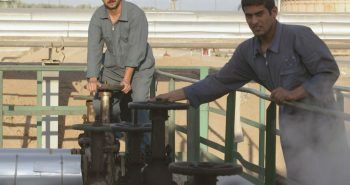 With Hifter’s forces currently controlling the majority of Libyan territory and virtually all of the war-torn country’s onshore oil reserves, the states that have been backing the LNA and HoR since 2014 see Hifter as Libya’s only hope, notwithstanding reports by human rights organizations of civilian casualties and abuses linked to his forces. 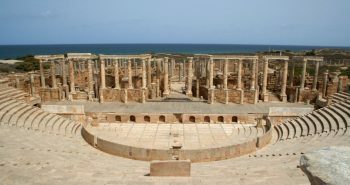 As the GNA has failed to counter the LNA’s advances and the internationally-recognized government has proven unable to govern much territory beyond Tripoli, a growing number of Libyans and foreigners have essentially lost patience with the UN-brokered dialogue and see Hifter’s rise and takeover of the country as the best option under the circumstances. 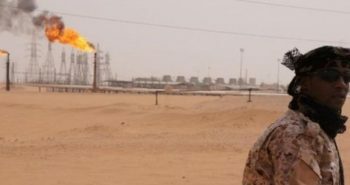 Most likely the LNA’s offensive against Tripoli will do more to exacerbate instability rather than bring calm or order to the deeply fractured North African country. From the perspective of many Libyans, including GNA-allied Islamists, a Hifter takeover of Tripoli and Misrata represents an existential threat to their livelihoods and to the 2011 revolution that ended Gaddafi’s dictatorship. 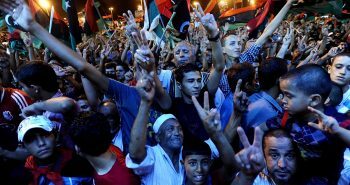 Hopes that Libya would follow the “Tunisian model” and transform into a state governed by a democratically-elected, civilian government would vanish under Hifter’s leadership, which many analysts believe would usher in a new era of military rule in Libya. 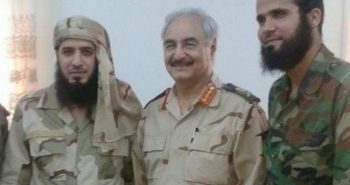 As a result, the heavily armed Islamists that are confronting the LNA have every reason to fight until the end, meaning it is unlikely that the “Operation to Liberate Tripoli” will be resolved quickly or decisively in Hifter’s favor. It is unclear how, or even if, a “liberation” of Tripoli would occur and the extent to which Hifter’s offensive will damage any lasting hope that the UN can play a productive role in ending the conflict. 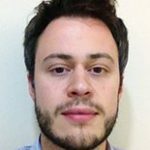 The LNA’s campaign against the GNA-aligned Islamists marks a new phase in the civil war, whereby Hifter seeks to translate his recent gains in the Fezzan and his strong support from key foreign allies into a new reality based on his vision for a Libyan political order that excludes Islamists. What remains to be seen is whether Hifter’s enemies can unite to oppose him, and what moves Turkey and Qatar might make to help their Libyan allies resist, although such activity is going to be under a spotlight given the changes on the ground. 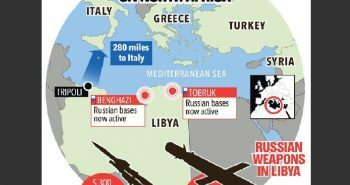 In any event, a major showdown has commenced, and the Libyan civil war is once again heating up. 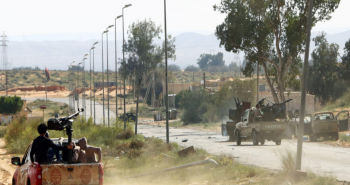 Both GNA- and HoR-allied forces are carrying out air strikes, and militia re-enforcements from Misrata are coming to Tripoli’s defense against Hifter’s offensive following the pullout of the U.S. military’s small contingent from the North African country. 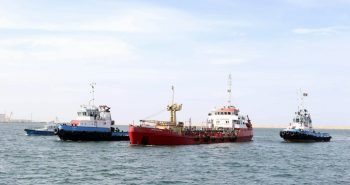 The fluid and chaotic situation in Libya is confusing. Predicting how the ongoing violence in Tripoli will play out and impact the broader trajectory of the civil war is difficult. 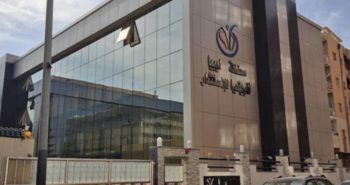 Events in and around Tripoli are complicated in no small part due to an ongoing information war that delivers conflicting reports about events on the ground, especially regarding captured territory, prisoners, road checkpoints, and alleged Qatari interference in the crisis. Unfortunately for Libyans, the prospects that their country’s crisis will be resolved this year through a UN-led peace process have diminished significantly this month. 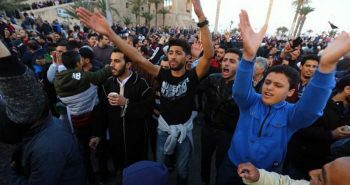 A major risk for the country, as well as the rest of Africa and Europe, is that extremist groups such as ISIS will emerge as the true victors of Hifter’s offensive, given their successful track record of exploiting chaos, unrest, and power vacuums. Giorgio Cafiero is the CEO and founder of Gulf State Analytics. Dr. Theodore Karasik is currently a Senior Advisor to Gulf State Analytics, a geo-strategic consultancy based in Washington, DC.